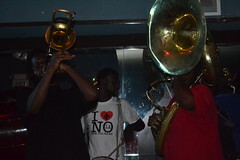 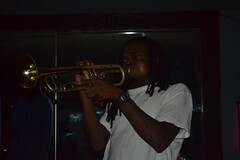 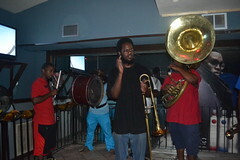 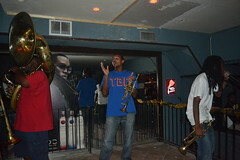 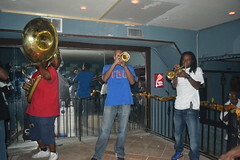 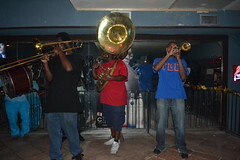 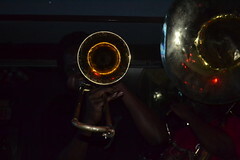 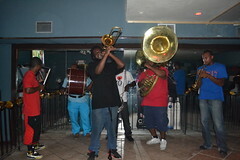 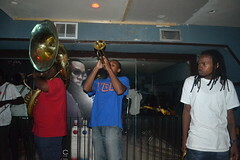 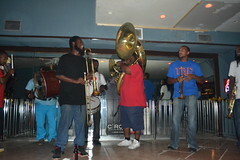 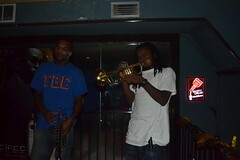 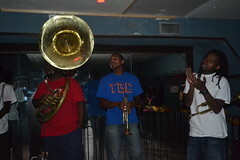 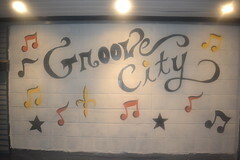 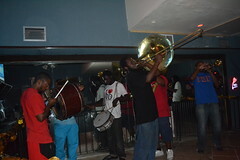 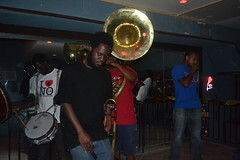 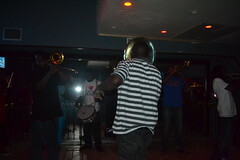 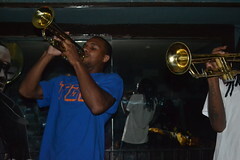 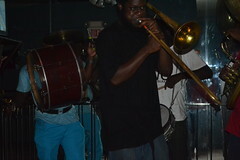 The TBC Brass Band hasn’t had a regular Sunday night gig since they ended their long run at the Blue Nile earlier this year, so I was thrilled to hear that they were beginning a new Sunday night gig at Groove City up on A. P. Tureaud in the Seventh Ward, nearly across the street from Bullet’s where the Pinettes hold forth on Fridays. 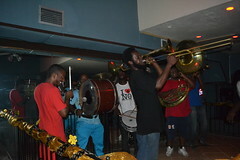 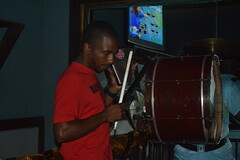 As I have pointed out before, brass bands seem to come into their own when they play in neighborhood bars and clubs as opposed to the bigger tourist venues. 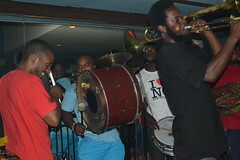 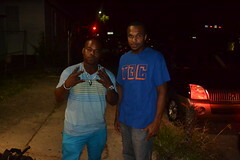 There tend to be more second-liners, a more exuberant atmosphere, and a better interplay between the band and their fans. 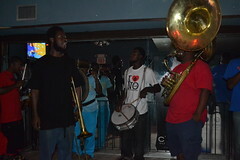 For a first night, there was a decent crowd, and great music.